It's quite rare that we Horror Tourers give a bad review - in our opinion there is merit in most haunts, and given that we are haunt enthusiasts, we enjoy most of the ones we go to. However, the Scare House turned out to be a bit of a dud, with the most exciting thing being the static display that was set up where visitors bought their tickets. The Scare House was only open for one night, and even then for only 90 minutes, so it was simply by chance that we were available to visit it. The first thing we noticed was that there were a lot of younger kids there. While this doesn't really mean anything in terms of haunt quality (as we've been to numerous haunts with younger actors that have been quite enjoyable, it did immediately give us an idea of what we might be in for. Unfortunately, the best thing we can say about Scare House is that it didn't cost too much. However, there was very little bang for your buck. Visitors were led through the haunt by a guide and passed through various scenes, including zombies, werewolves, a chainsaw scene, and more. However, none of the actors seemed to be very interested in scaring anyone, or even in putting any enthusiasm into their performances. Some made halfhearted attempts to scare, while others simply stood there as visitors passed by. In a couple of instances the actors were even laughing and talking to one another as we walked through. Overall, there's not a lot to recommend here, even for people with smaller children. 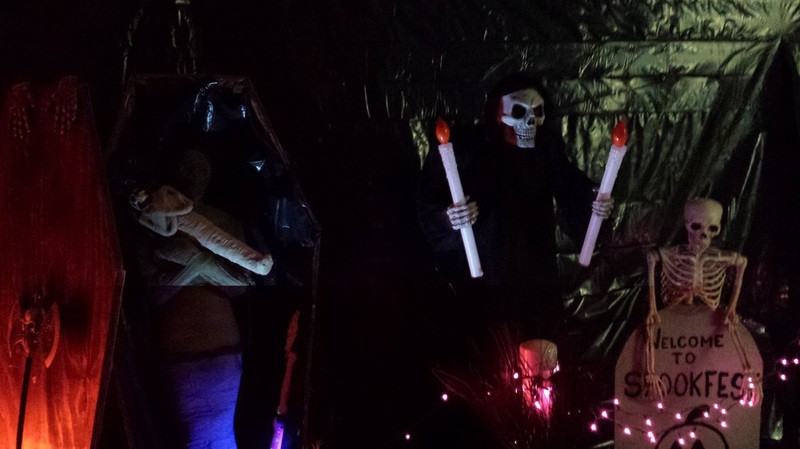 We've seen better yard displays, and much better professional haunts (like the Haunted School, which, while staffed with some younger people, cost less and provided bigger scares). While it might be fun for children under 8 or so, you'd be better off visiting other haunts instead.